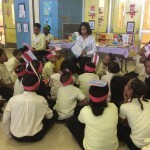 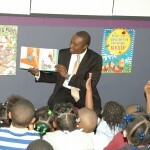 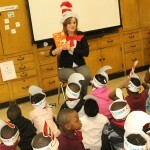 Schools across DPS enjoy March is Reading Month! 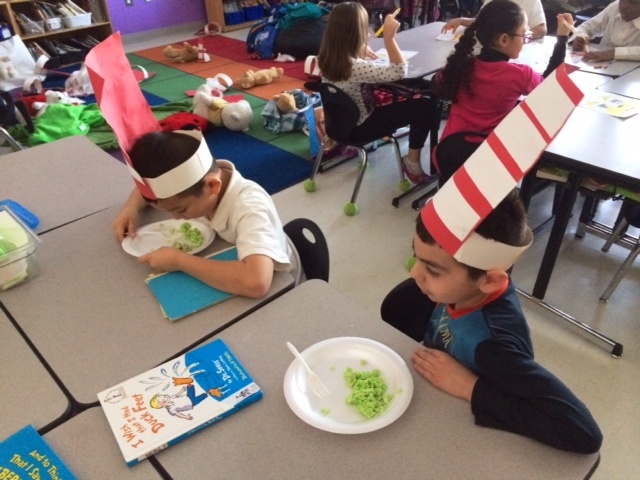 Pulaski Elementary-Middle School held its first annual Preschool Green Eggs and Ham Breakfast in Mrs. M.Thompson-Cook’s class to celebrate READ ACROSS AMERICA DAY as well as the birthday of Dr. Seuss. 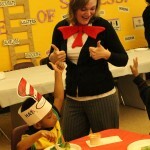 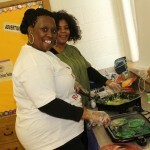 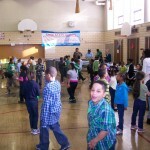 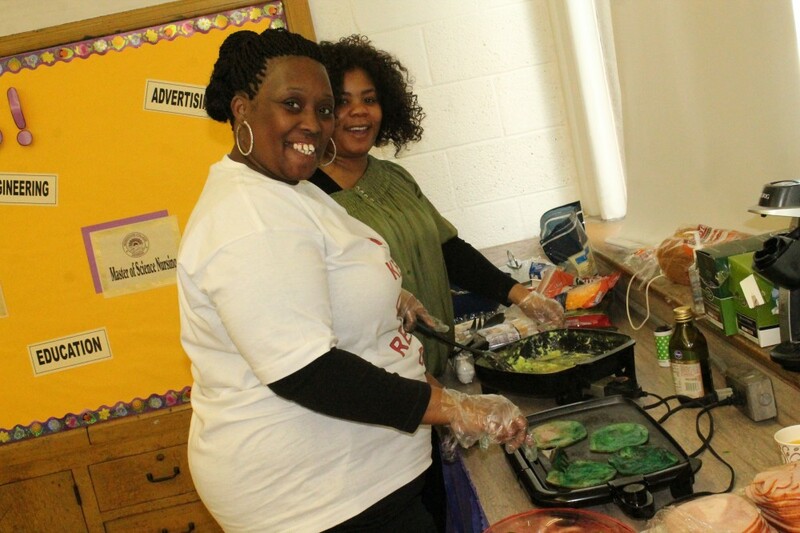 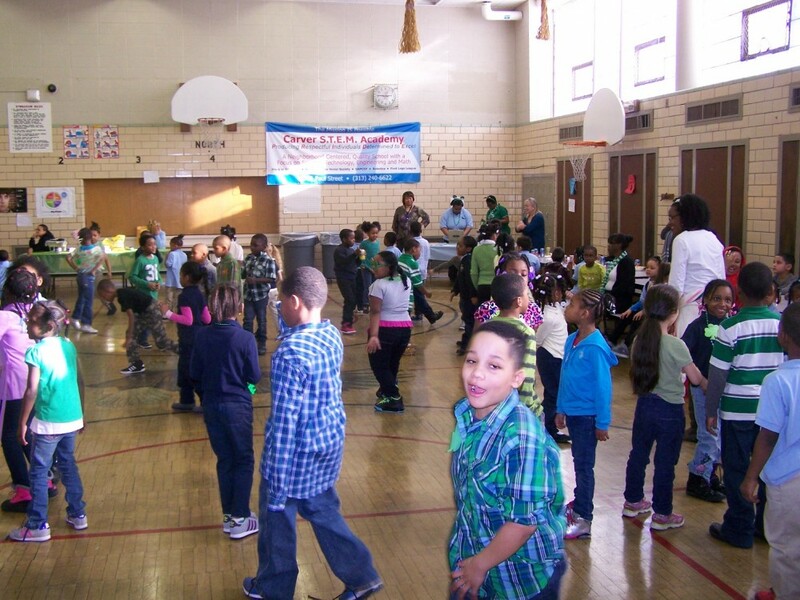 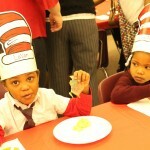 Students were served “green” scrambled eggs, turkey or ham, and juice. 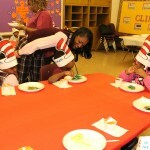 Principal Desheil Echols even tried a test-taste! 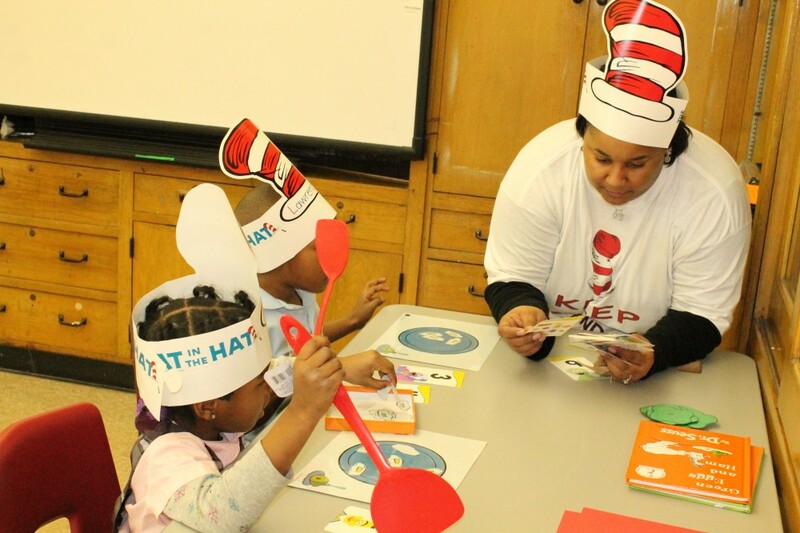 The day also consisted of a story read-aloud of “Green Eggs and Ham,” literacy games, cross-curricular activities, arts and crafts, and Dr. Seuss learning stations. 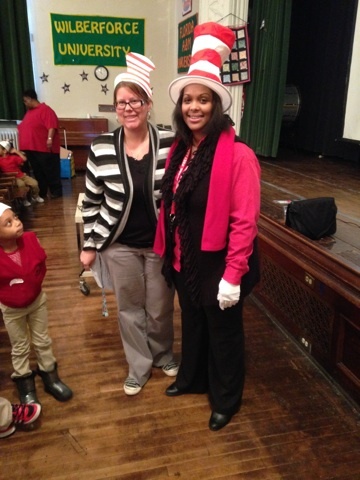 Also there to join in the fun were Teacher Mrs. Noel Sauer (with the Dr. Seuss bow tie and hat), Associate Teacher Mrs. S. DeShields, Noon-Hour-Aide Ms. E. Hall, Associate Teacher Mrs. K. Donaldson, parent volunteer Sally Patillo, and noon hour aide Ms. Sinclair. 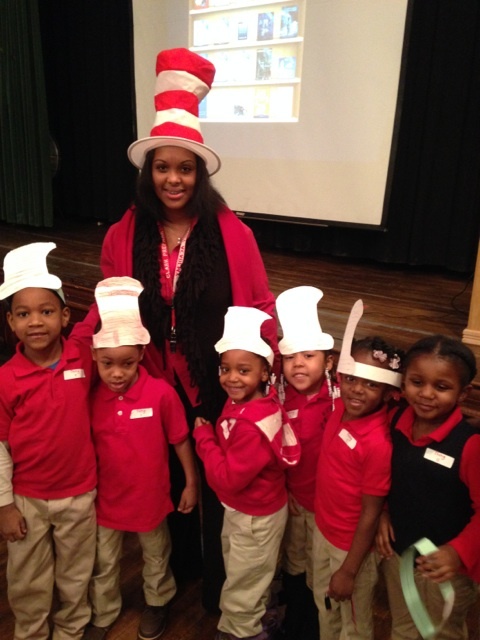 Principal Demond Thomas and students at Clark Preparatory Academy kicked off March is Reading Month by holding a Dr. Seuss themed assembly. 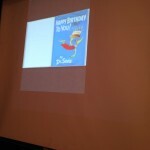 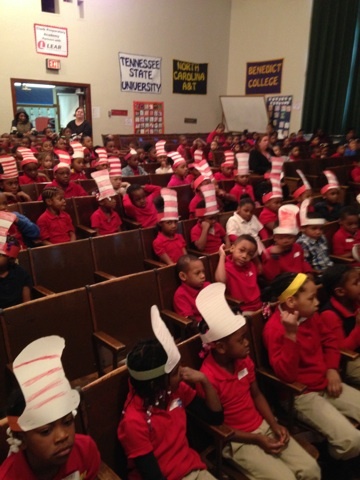 Students celebrated Dr. Seuss’ birthday and Read Across America Day by making Dr. Seuss hats and utilized technology to watch one of Dr. Seuss’ popular books on their LCD projector. 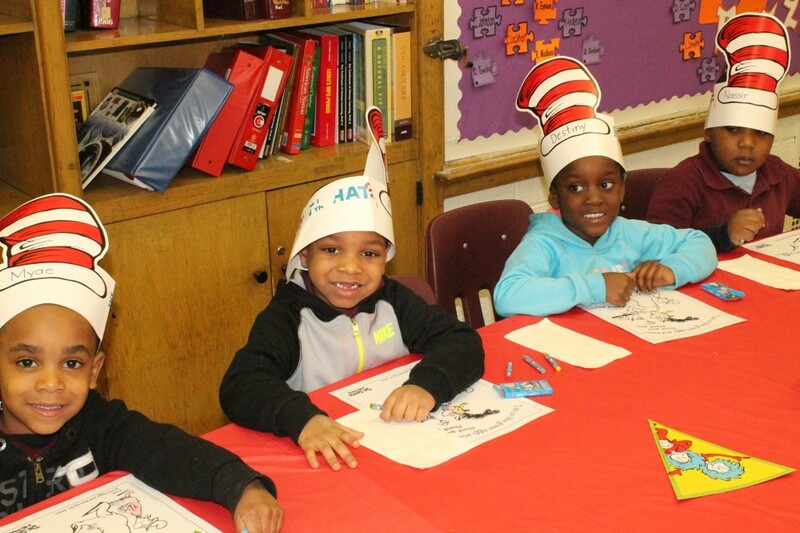 Students from Amelia Earhart Elementary-Middle School celebrated Read Across America Day by participating in a variety of reading workshop activities. 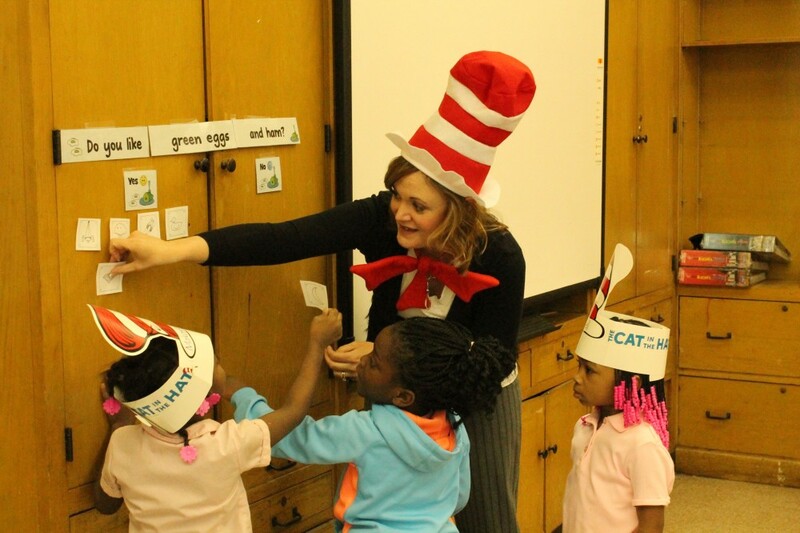 First-grade teacher Rebecca Landin-Smith dressed as a Dr. Seuss character as she introduced the reading workshop activities to her students. 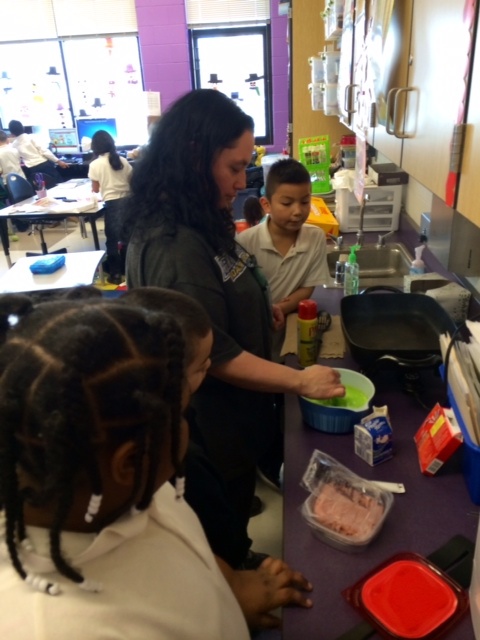 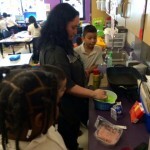 Earhart Parent Advisory Council on Student Achievement (PACSA) president and classroom volunteer Erica Negron, helped the 2nd grade students make green eggs and ham as part of one of the workshop activities. 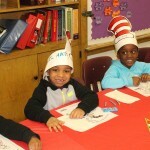 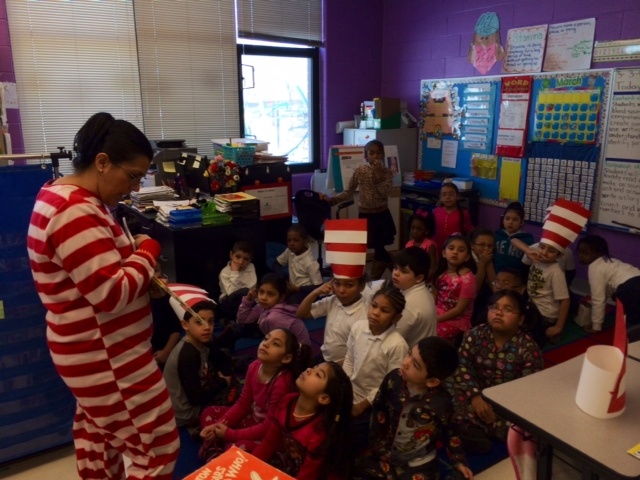 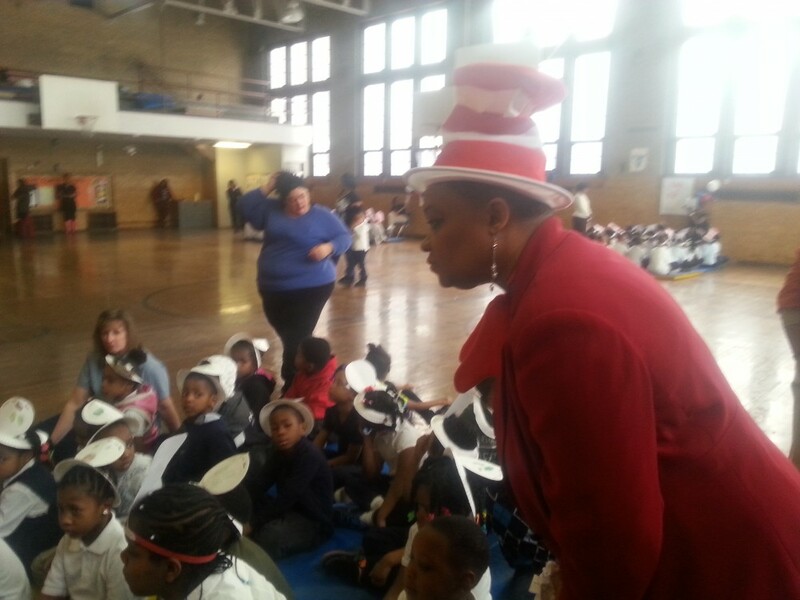 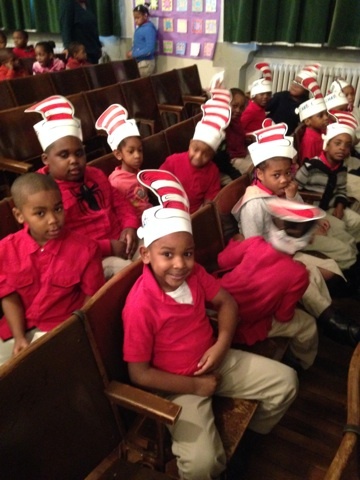 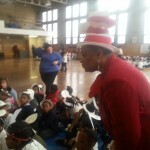 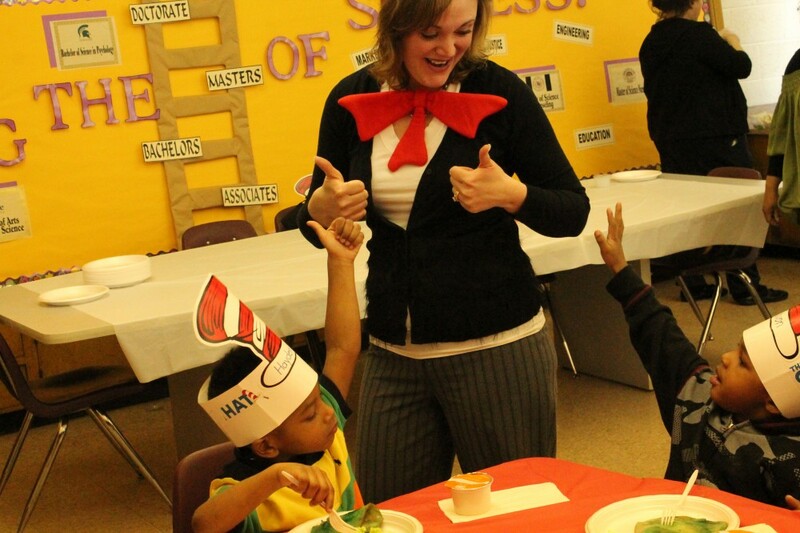 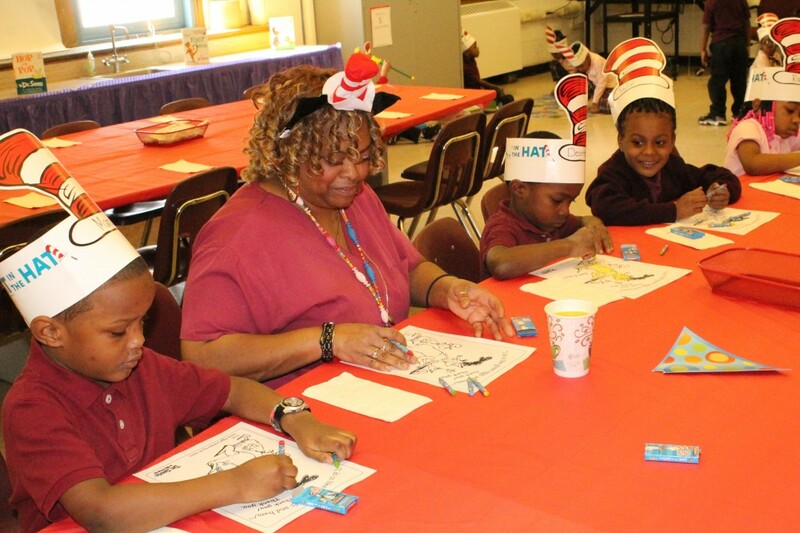 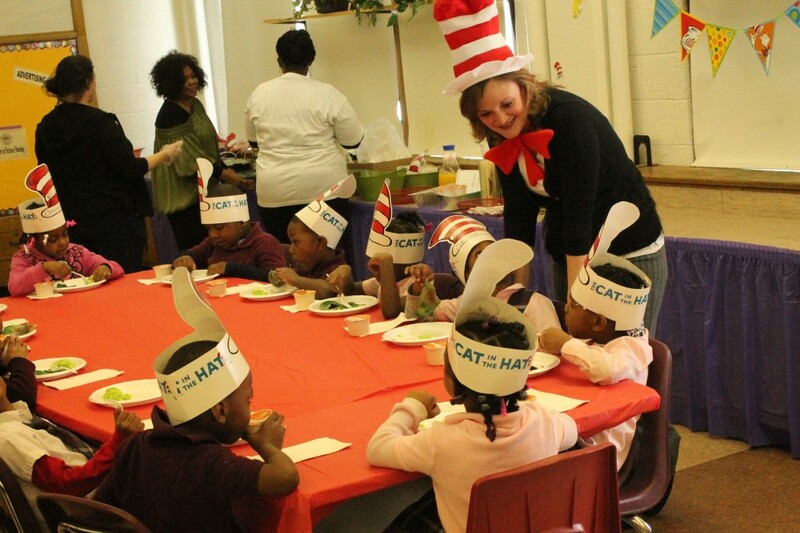 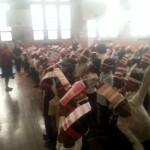 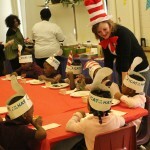 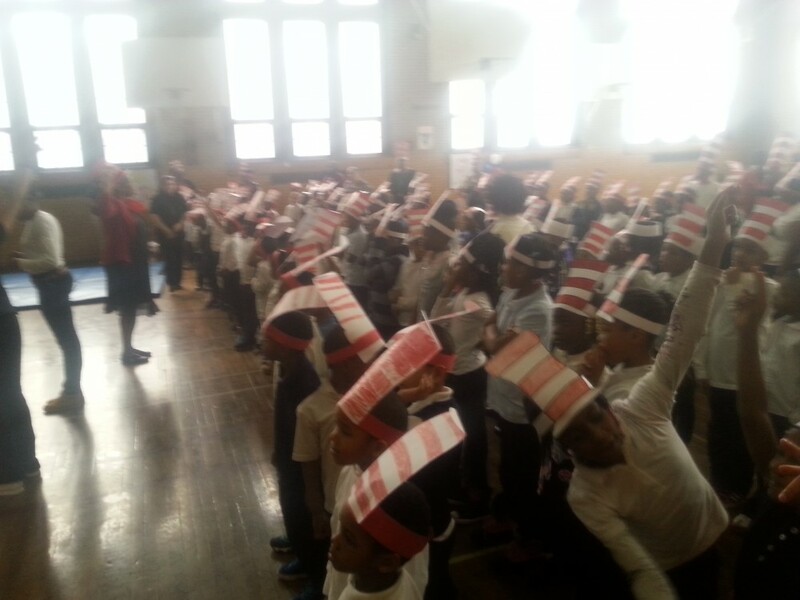 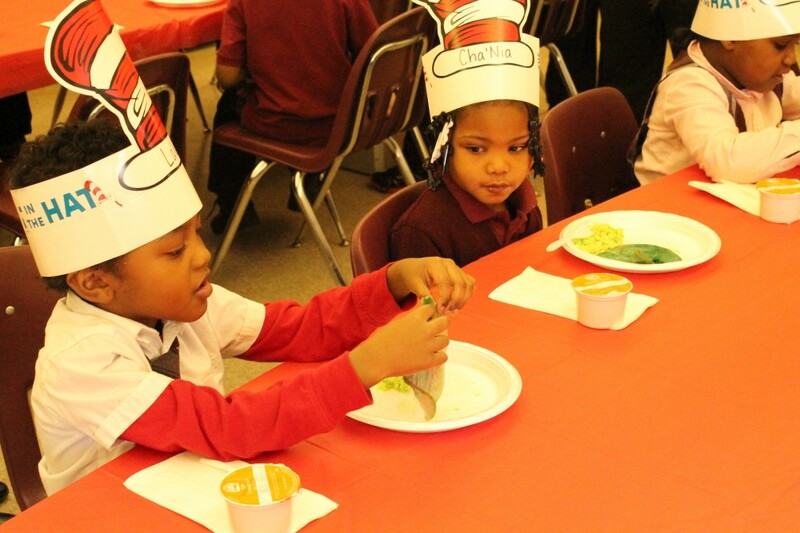 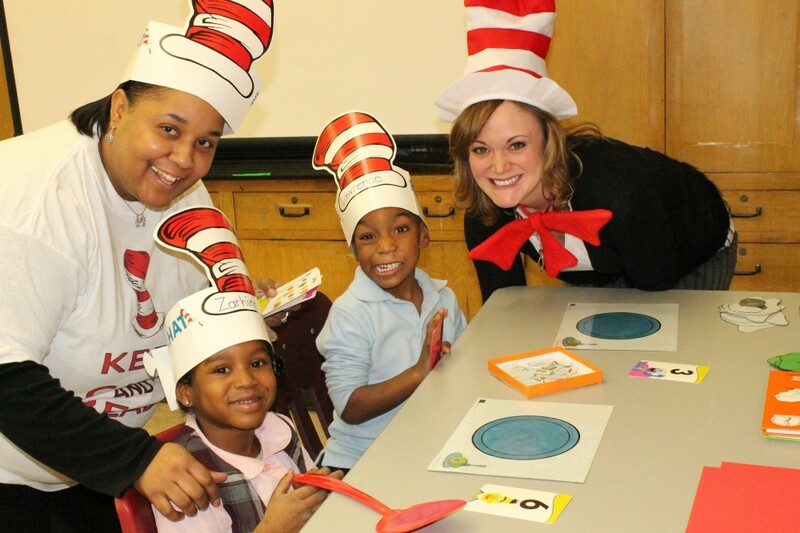 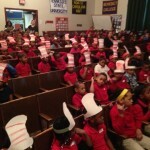 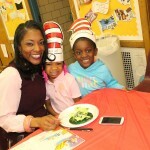 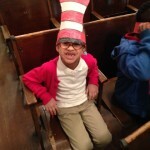 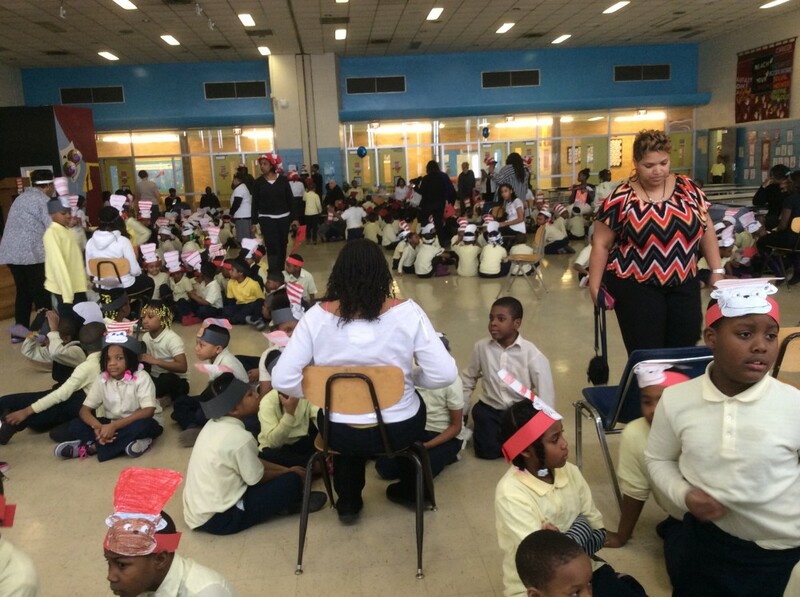 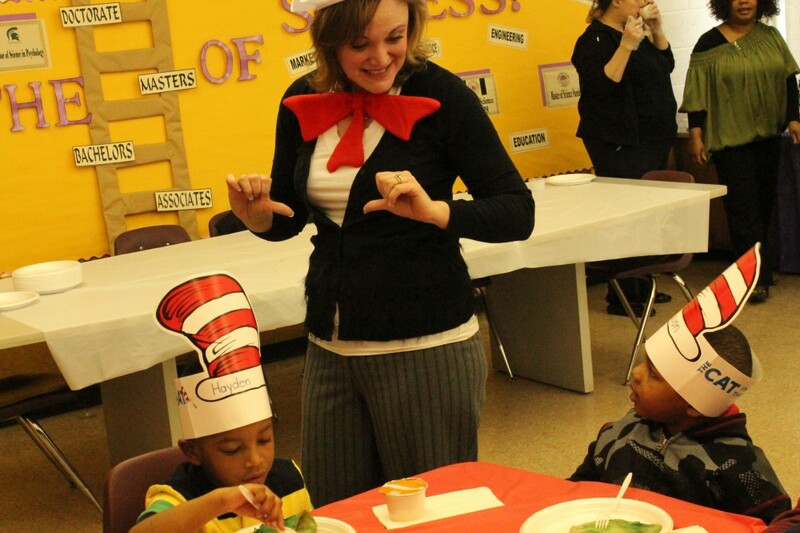 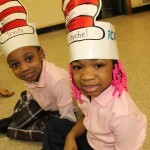 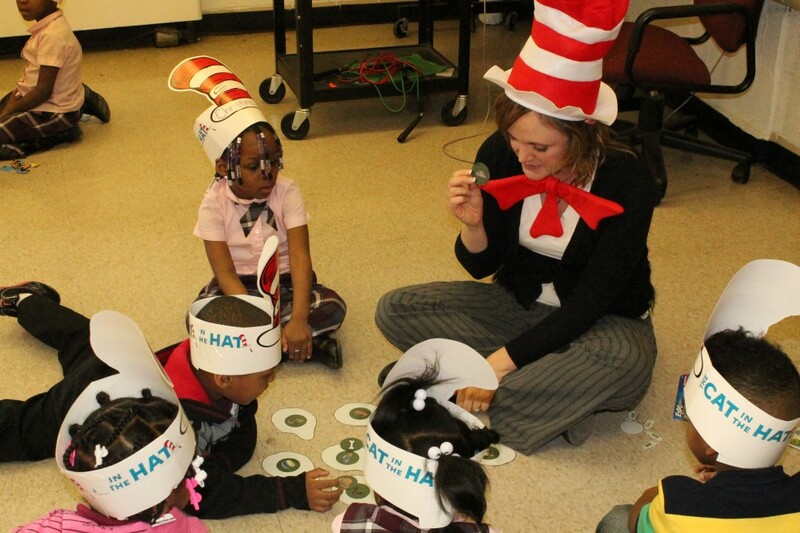 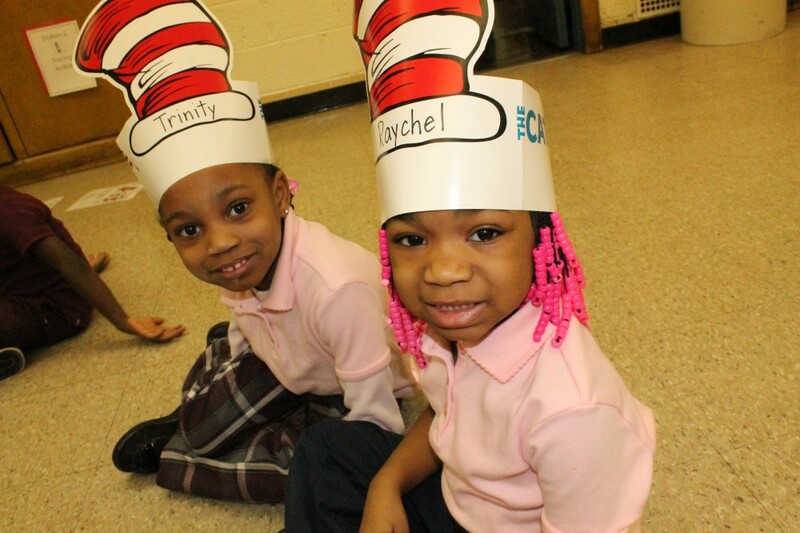 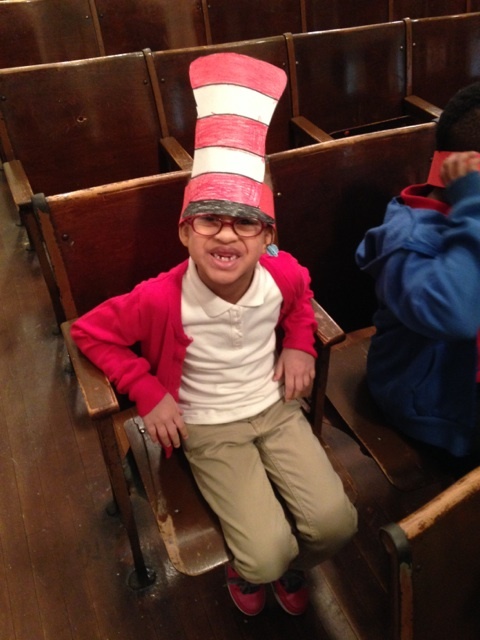 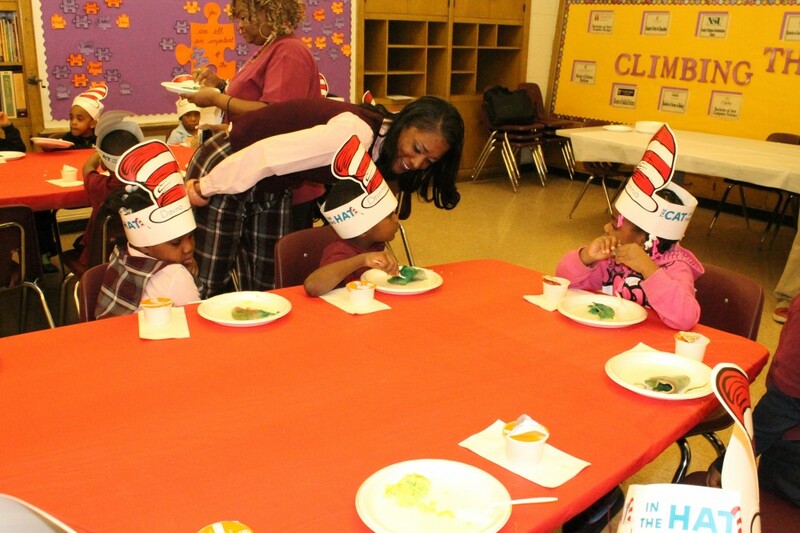 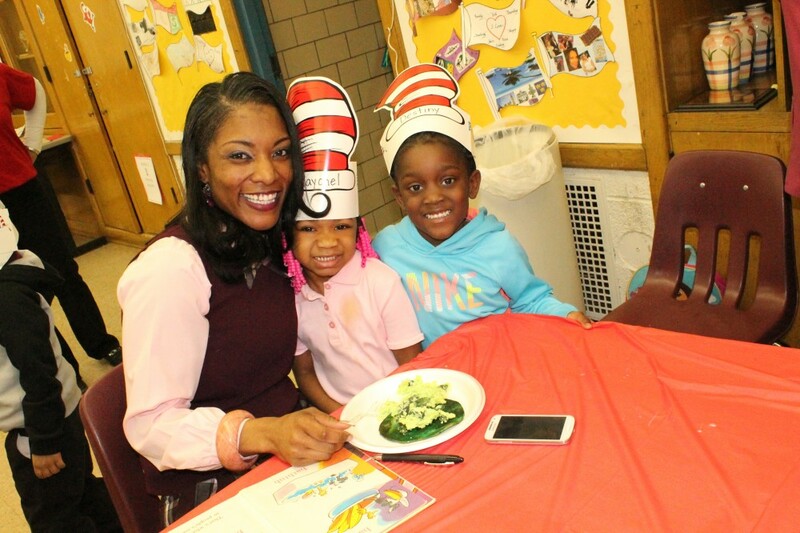 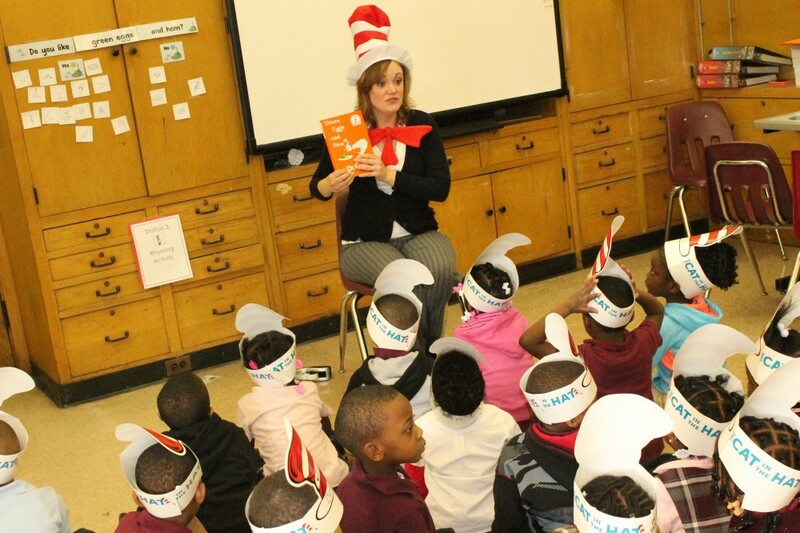 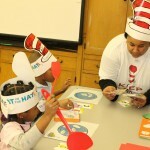 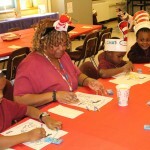 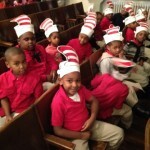 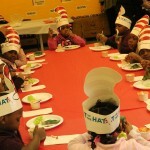 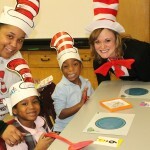 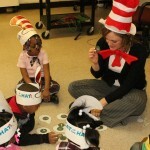 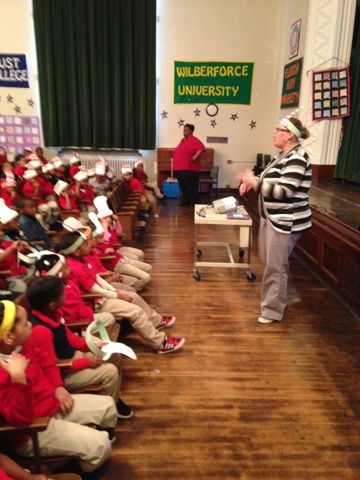 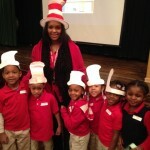 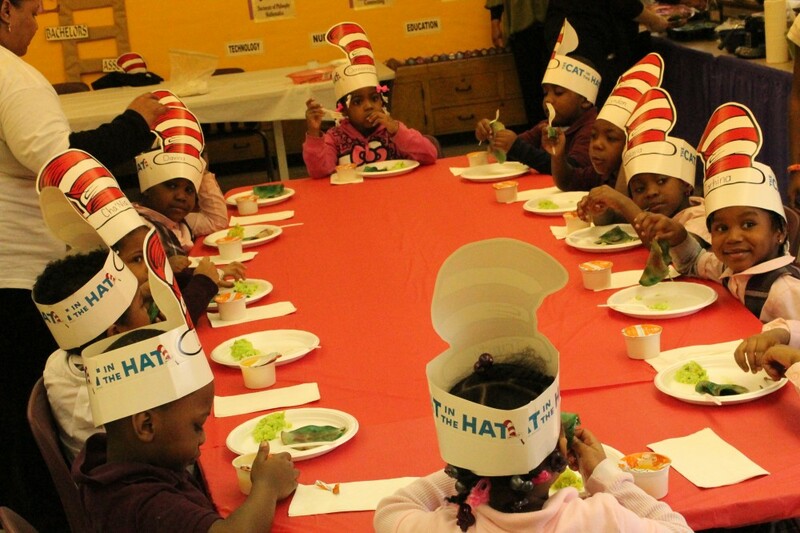 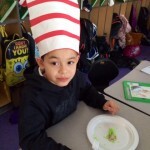 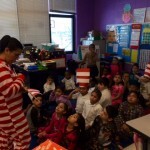 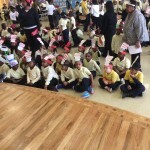 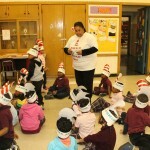 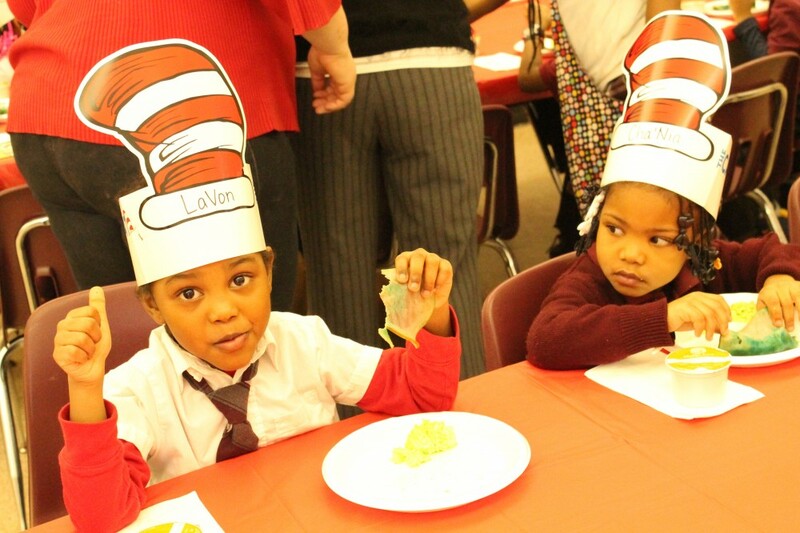 At Dixon Educational Learning Academy students showcased their self-made Cat in the Hat hats while enjoying a variety of reading related activities on Wednesday, March 5. 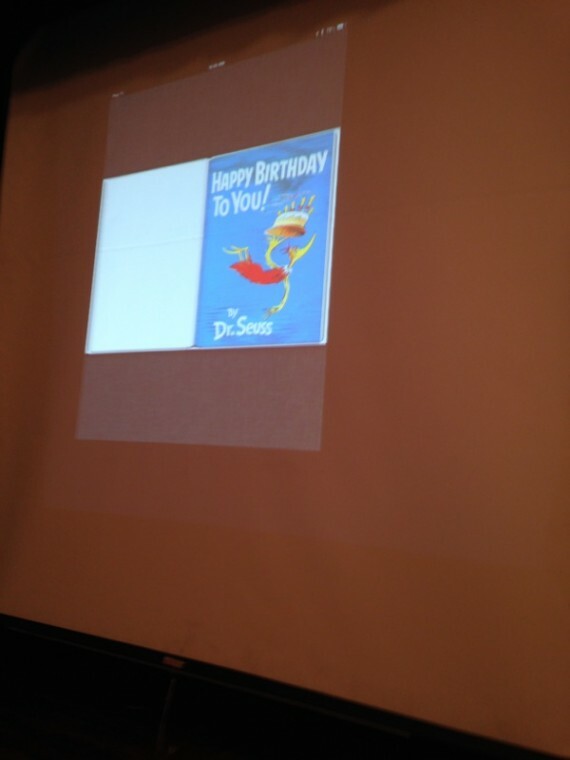 A guest college student read Happy Birthday to You in celebration of Dr. Seuss’ birthday while the students enjoyed cookies and juice. 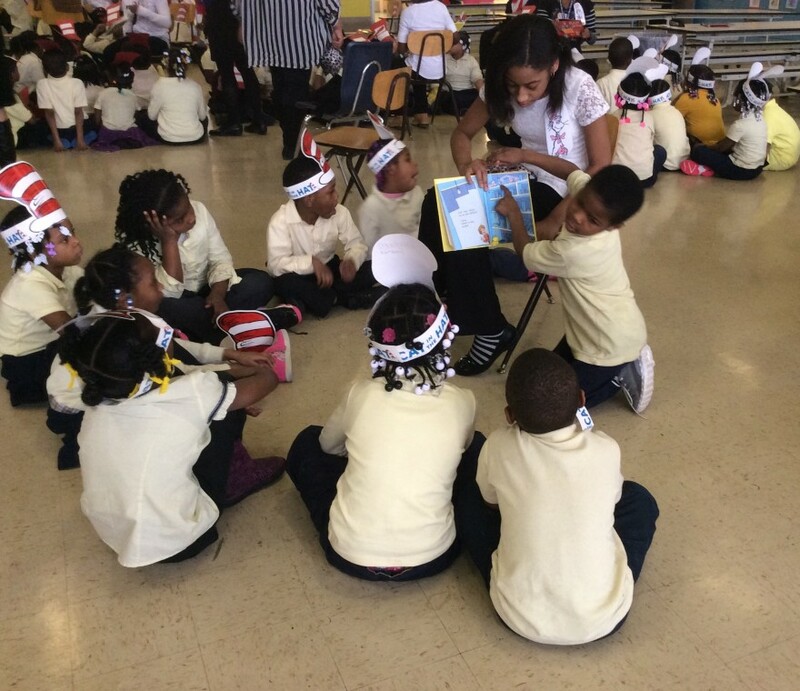 At the end of the celebration, Dixon students were thrilled to learn that they were able to take a book home with them that day, thanks to the book donations from the Romulus Library. 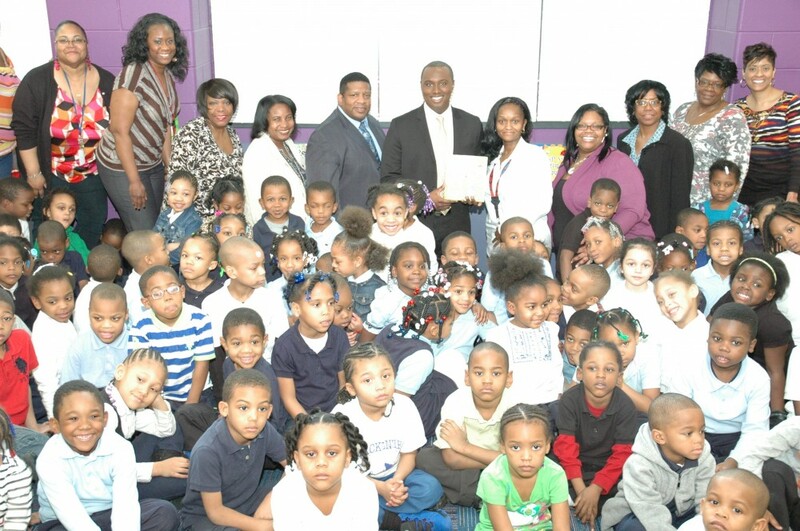 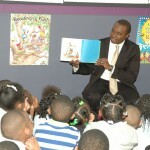 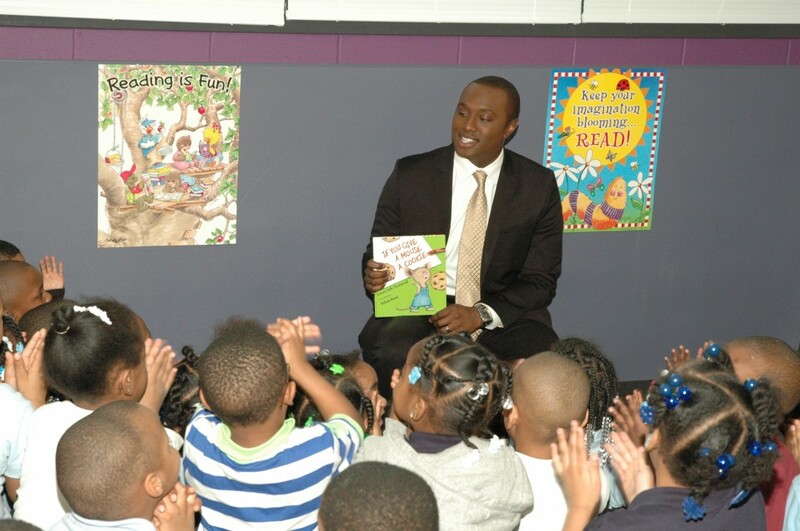 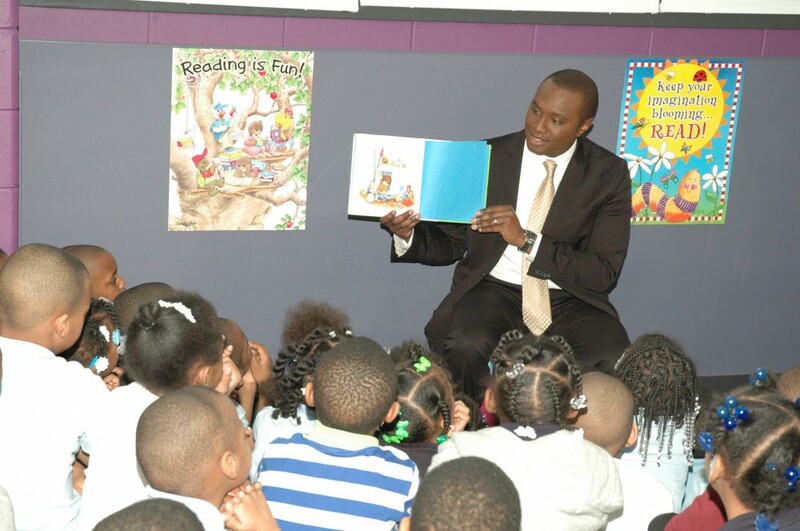 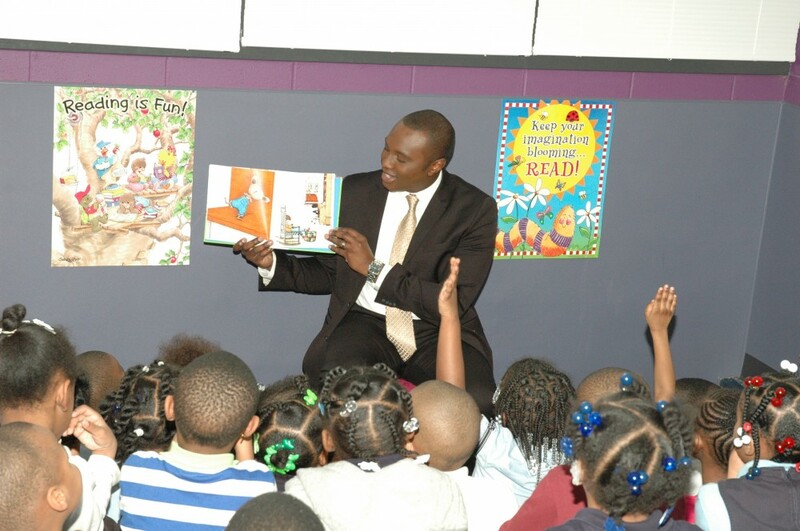 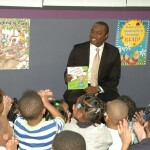 Mackenzie Elementary-Middle School students enjoyed an exciting visit from WDIV anchor, Evrod Cassimy, in celebration of March is Reading Month on Tuesday, March 11. 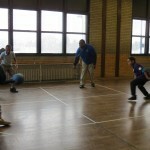 Carver S.T.E.M. 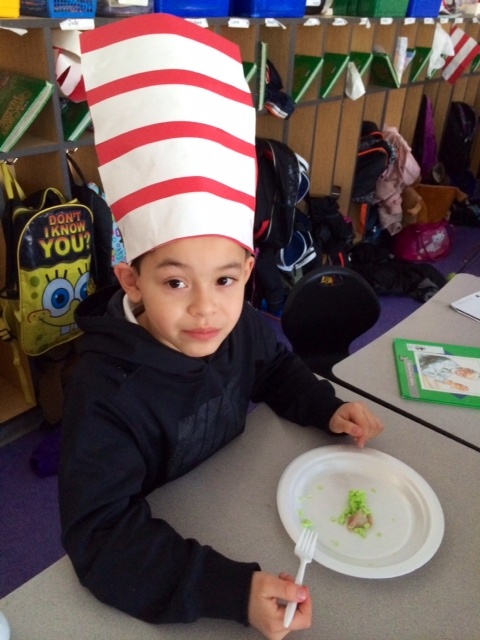 Academy let off a little steam on Friday, March 14 and celebrated with a Green Eggs and Ham Jam! 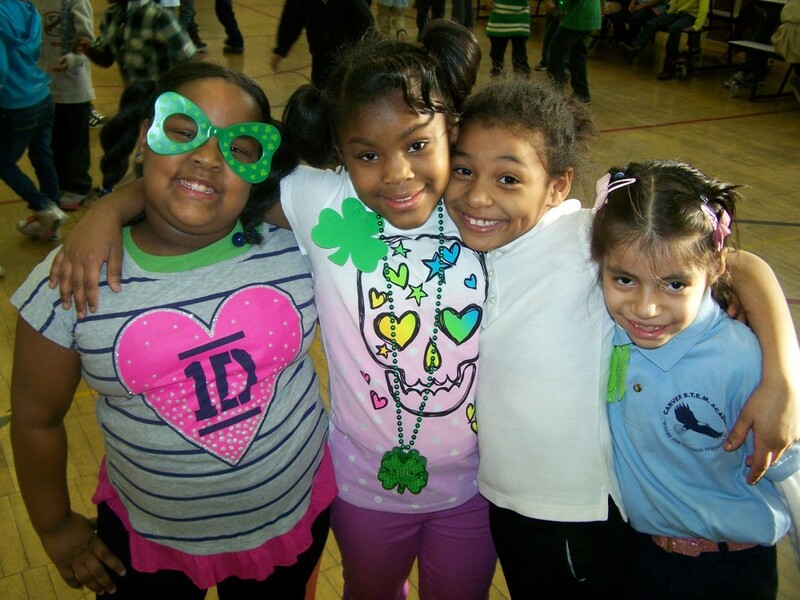 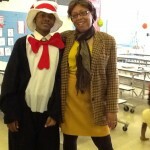 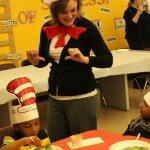 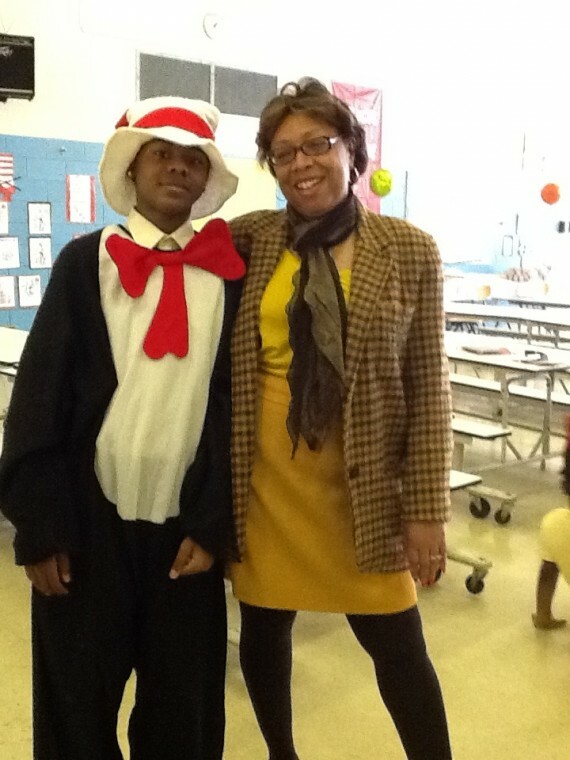 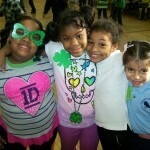 Staff members were encouraged to dress up as book characters and the students sported green gear to celebrate the day! 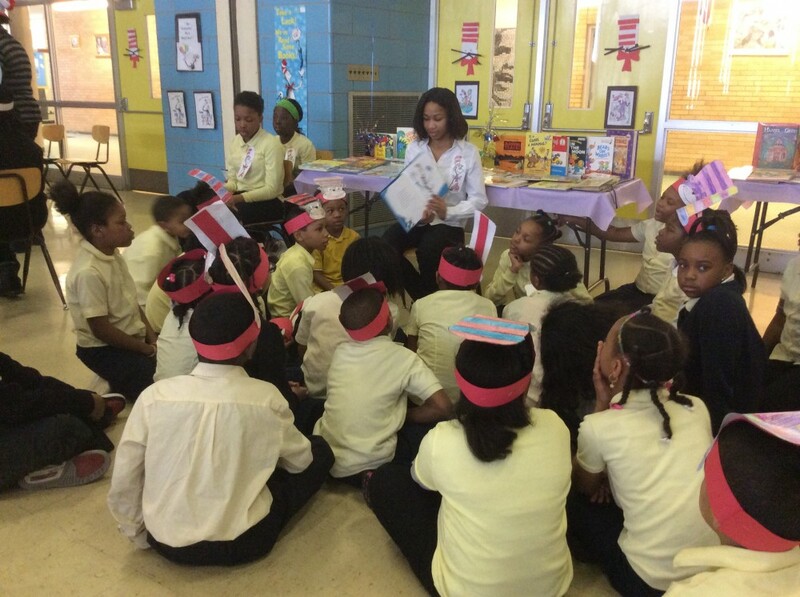 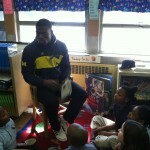 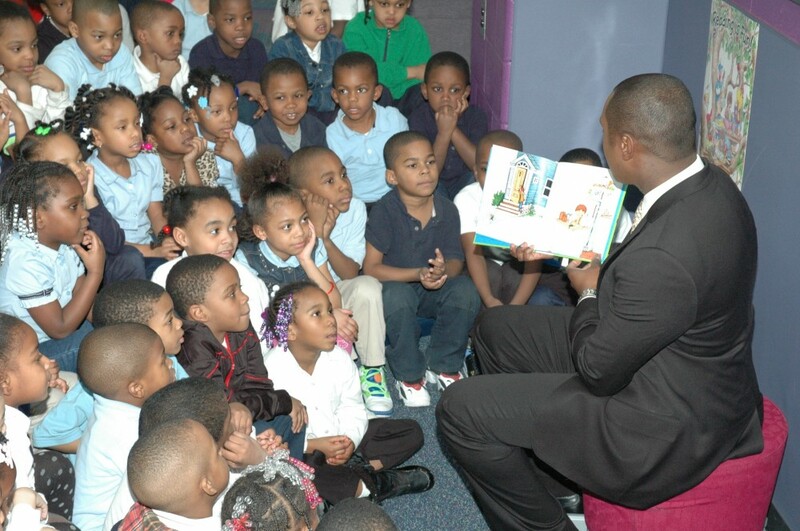 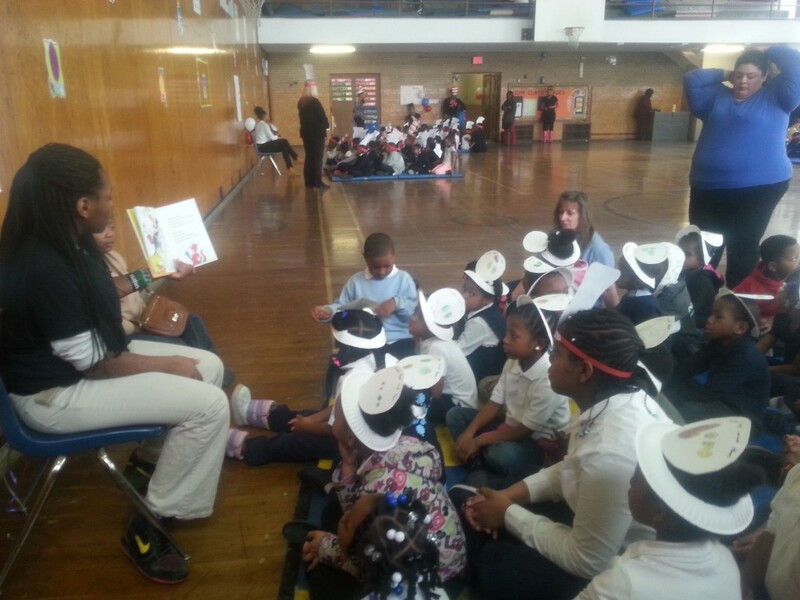 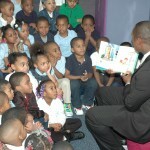 Also at Carver, guest readers visited the students to continue celebrating March is Reading Month. 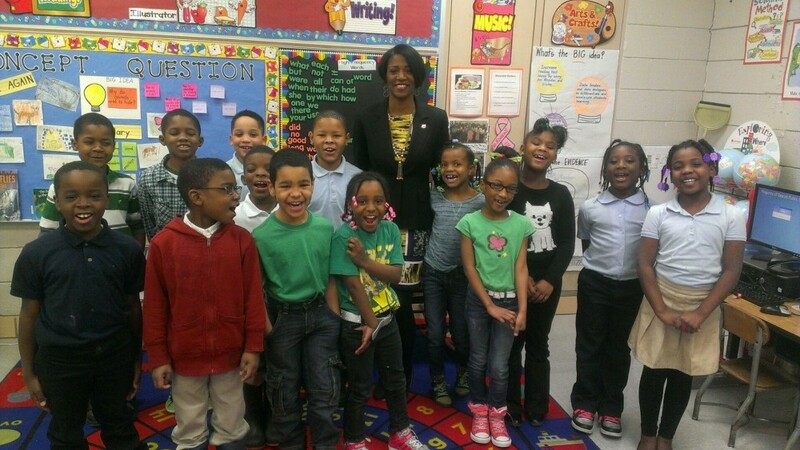 Ms. Rossell’s 2nd grade class was visited by Dara Munson, President and CEO of Big Brothers Big Sisters of Metropolitan Detroit. 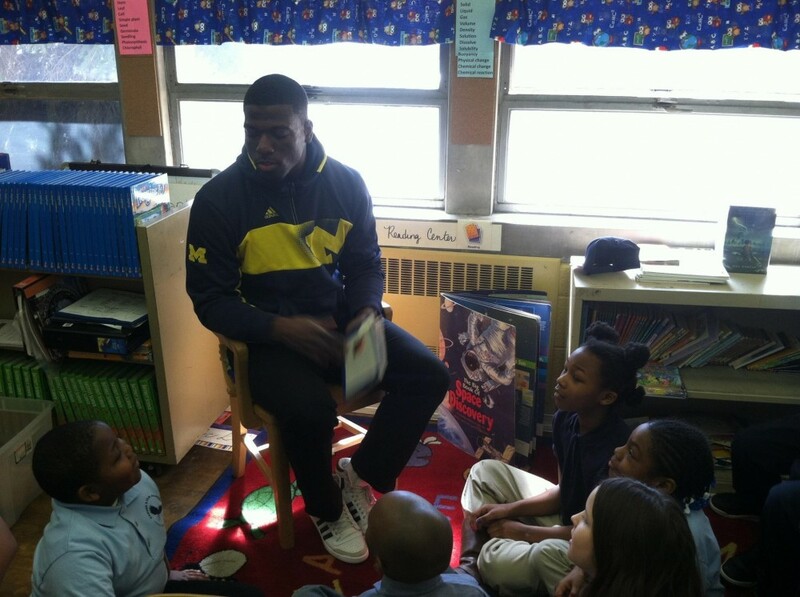 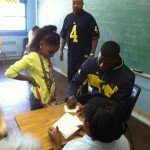 University of Michigan Linebacker Cameron Gordon read and spoke with the 4th graders about setting goals and he even took time to sign a few autographs! 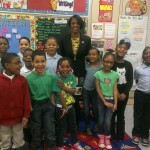 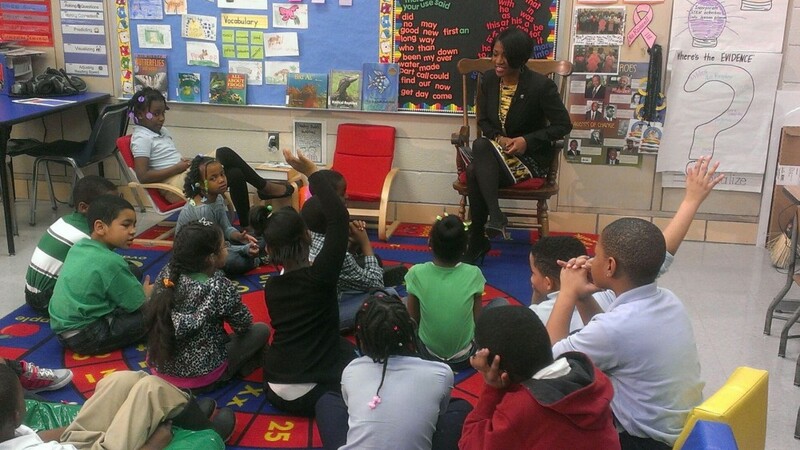 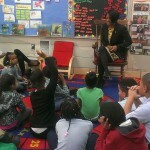 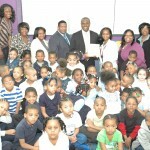 Channel 4 News Anchor Rhonda Walker visited A.L. 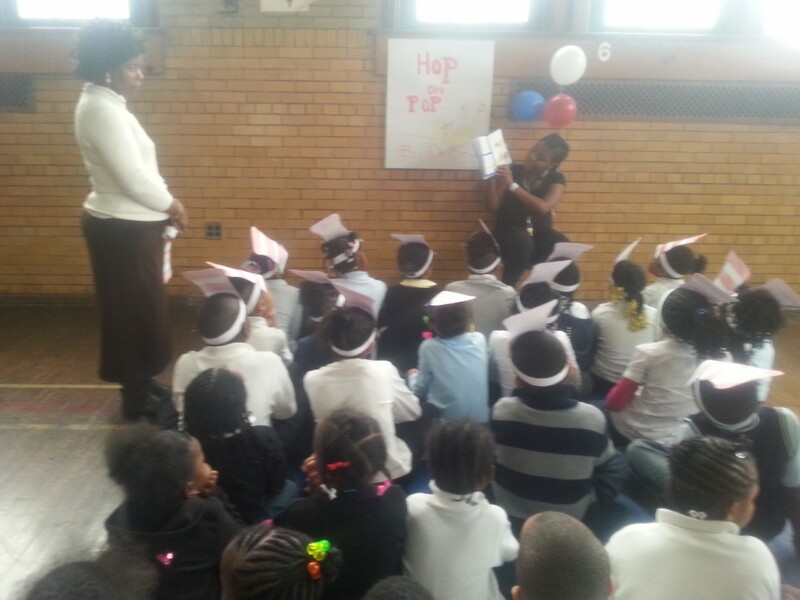 Holmes for March is Reading Month. 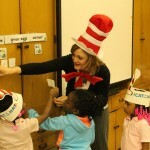 Pre-K teacher Kathy Willey also invited two other Pre-K classes to join. 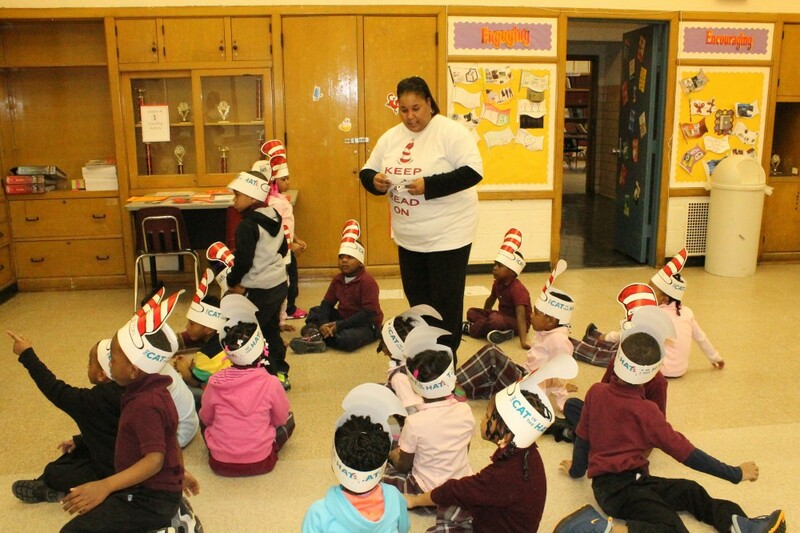 After reading “Ten Apples Up On Top” by Dr. Seuss to all of Holmes’ preschool students, Ms. Walker continued her visit with learning about the Playworks program. 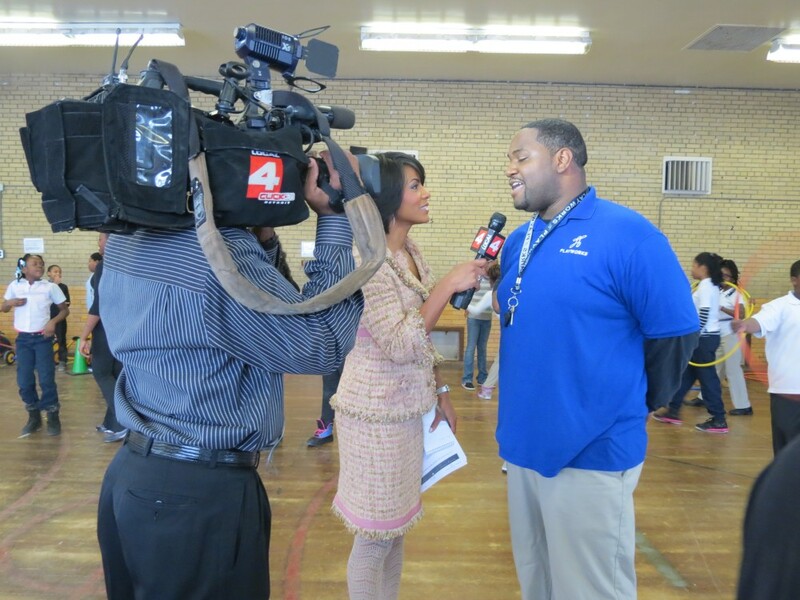 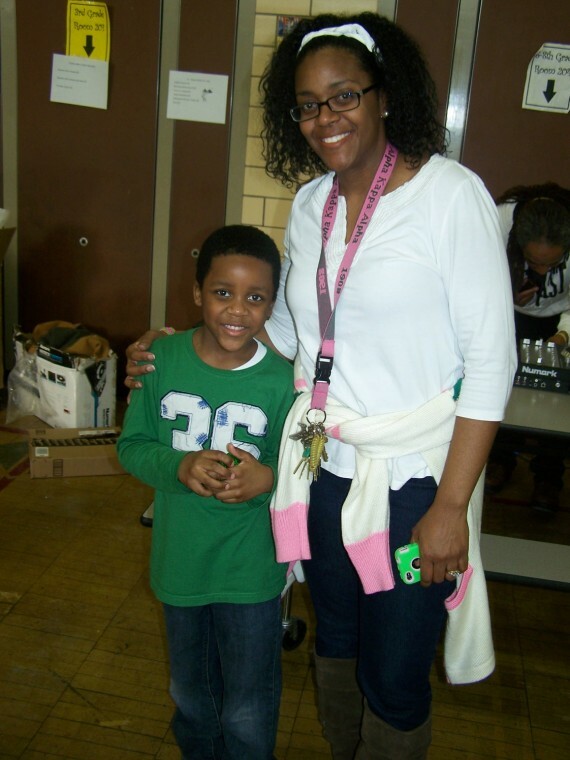 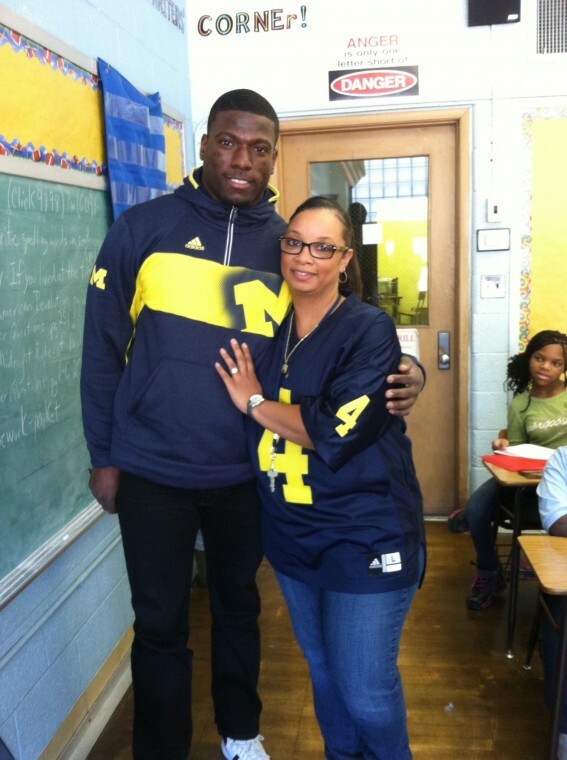 She interviewed the Executive Director of Playworks Detroit, Jeannine Gant, as well as on-site Playworks coach, Antoine Jones and Principal Williams. 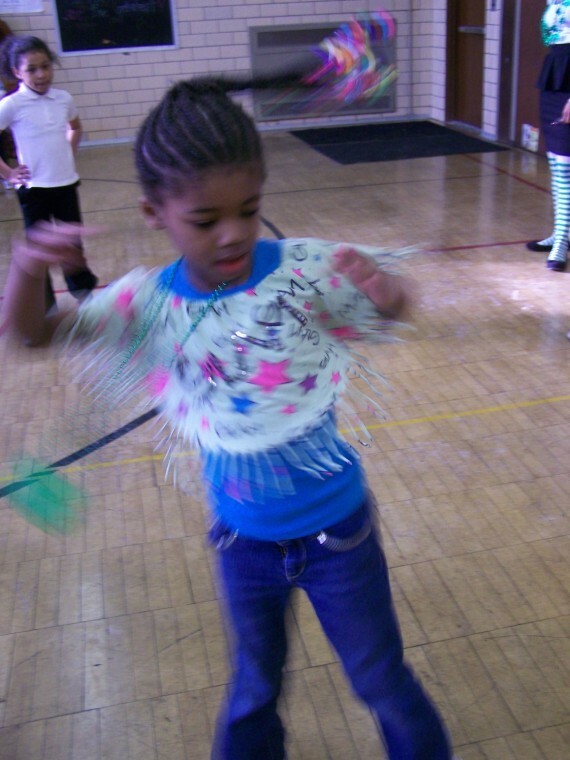 The students enjoyed showcasing their skills in four-square, jump roping, relay racing and hula-hooping. 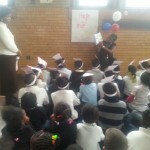 They also displayed their problem-solving skills by using rock, paper, scissors to solve disagreements. 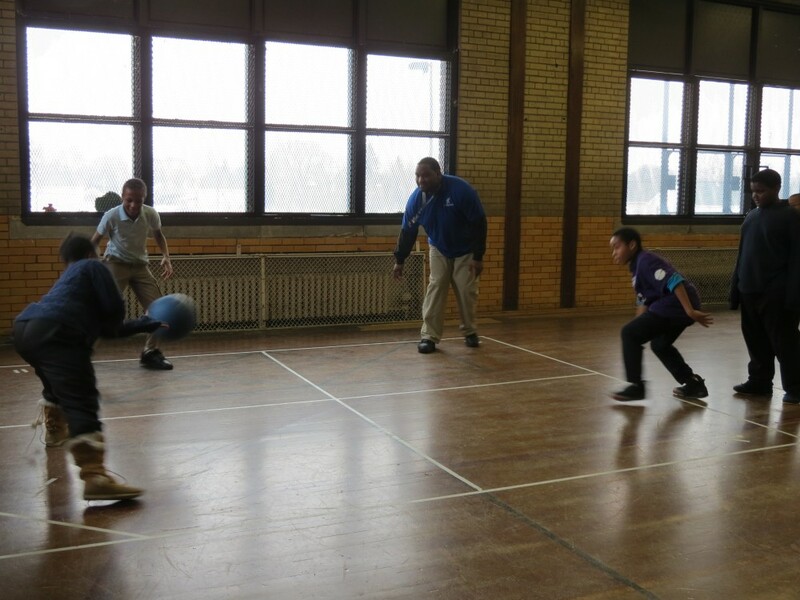 Coach Jones has several junior coaches that are trained to facilitate game time and team-building within all activities. 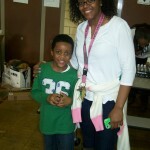 Ms. Walker interviewed three of the fifth grade Jr. 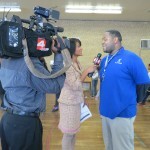 Coaches: Christina Faraad, Dariontae Brown and Jeremiah Williams. 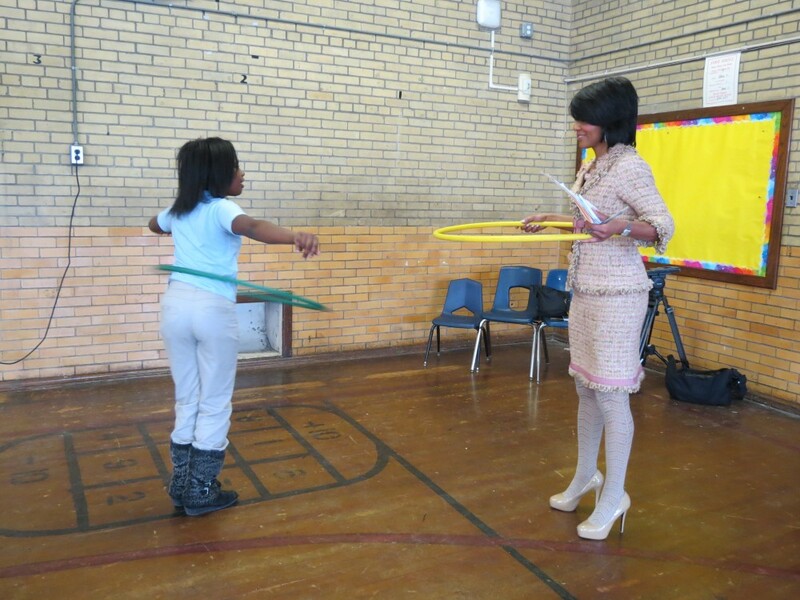 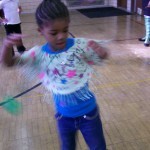 She also entertained a hula hoop lesson from fifth grader, Rikkia Boyd. 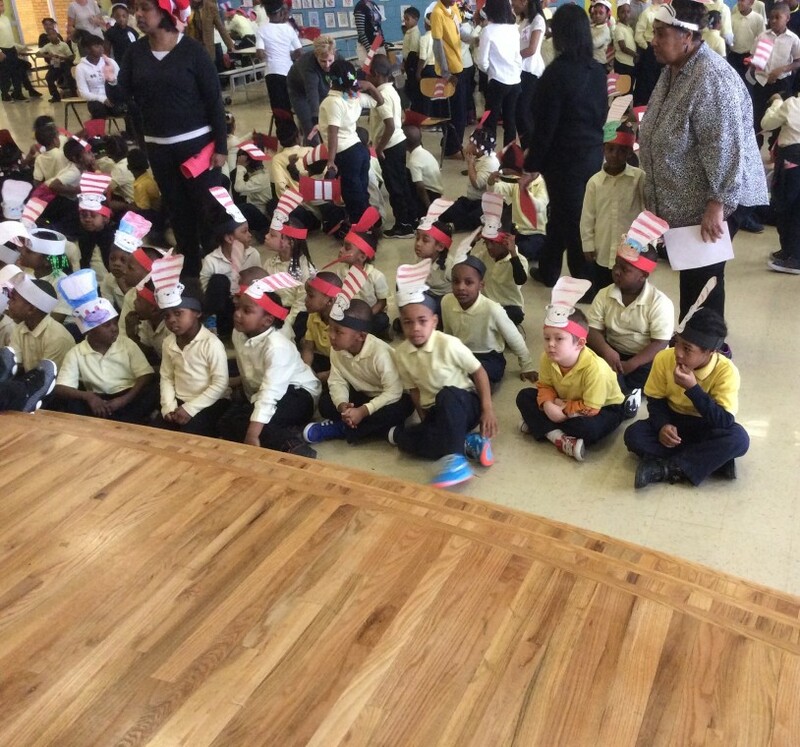 As a tribute to Dr. Seuss, Durfee Elementary-Middle School’s Pre-K and Kindergartners were treated to a read aloud during National Read Across America Day by Durfee seventh and eighth grade students. 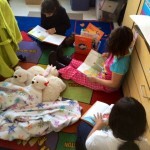 Using the advantage of cross-aged reading the school-wide reading effort is designed to promote reading not only in March but all year long. 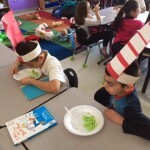 Students read the most-celebrated bestselling books including Green Eggs and Ham; The Cat in the Hat; The Lorax; One Fish, Two Fish, Red Fish, Blue Fish; Fox in Socks and Horton Hears a Who. 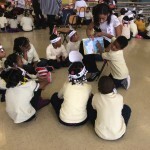 “When three and four-year-olds hear 12 and 13-year-olds read to them something magical happens,” said Angelia Mahone, English Language Arts Instructional Specialist. 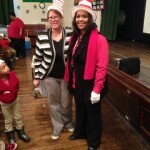 “This day is one part of our plan to make sure that we drive our reading scores up across all grade levels. 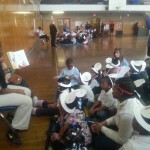 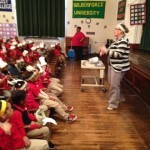 Reading is the foundation of Durfee’s school program. 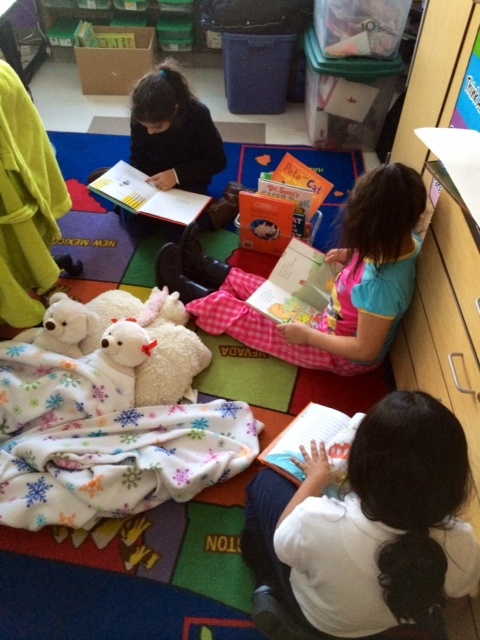 Every day kids are reading while standing in line waiting to transition from one class to the next. 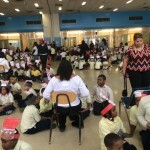 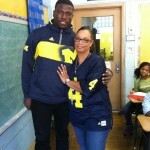 It just depends on what the lesson is for the day,” said Ricardo Martin, Principal. 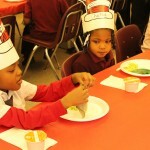 This entry was posted in News and Press Releases, Student Showcase and tagged 057, 063, 090, 126, 297, 430, 432, Featured.